Inspire to Engage: Multi Sport, Multi Fun from Premier Sport. Inspire to Engage is Premier Sport's new holiday course initiative for 5 to 12 year olds. The programme was developed to engage both children and the community in active, fun based sports and activities during the holiday periods. All our camps are safe, energetic and challenging. We want to ensure your children have fun and make new friends, whilst at the same time improving their communication skills, building their self-confidence and developing valuable social skills. Each camp offers a range of sports and activities created to meet the specific needs of each age group, with no two days ever the same. From the traditional to the less well known, we’re always looking to bring in new sports to engage the children in new ways. For the younger members of our camp, a Play Active programme provides the foundation for developing future sports skills through creative play and games. This programme is great fun, engaging and guaranteed to have them all smiling. 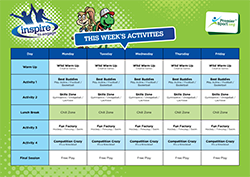 For 7-9 year olds, we provide a fun Sport Active programme of multi-sport and activities suitable for both boys and girls. Children take part in a range of team and individual sports from football to archery, with an emphasis on developing their newfound skills and organisation. For the older members, we provide a little more independence and introduce the children to more advanced activities and sports such as Kinball, Lacrosse and Tchoukball. The focus here is on building team work and leadership skills. Opposite is an example of the kind of activities running throughout the holiday weeks where your children can have fun with their friends. Click on the image to view. 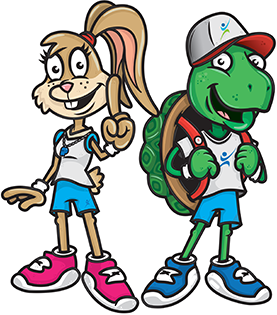 Our camps are managed and run by fully qualified Activity Professionals and PE teachers who work in schools through out the region in term time. All the team hold enhanced DBS (CRB) , Child Safeguarding and First Aid certificate providing you the parent, the peace of mind that they are in the very best of hands. 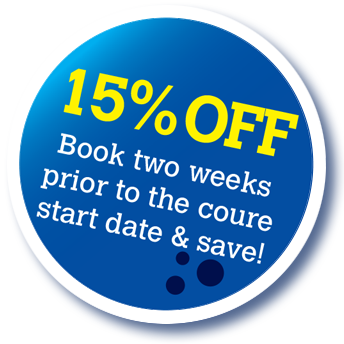 Please search for courses near you by clicking on the “Book Now” button. For any further information please contact Matt Benstead using the details below.